Home/Blog/How Do You Become Eligible for Hospice Care? We specialize in non-emergency medical transportation for hospice patients. Therefore, we work with hospice patients and their families on a regular basis. We understand the difficulties families face during this time and recognize just how much help and support hospice care offers. 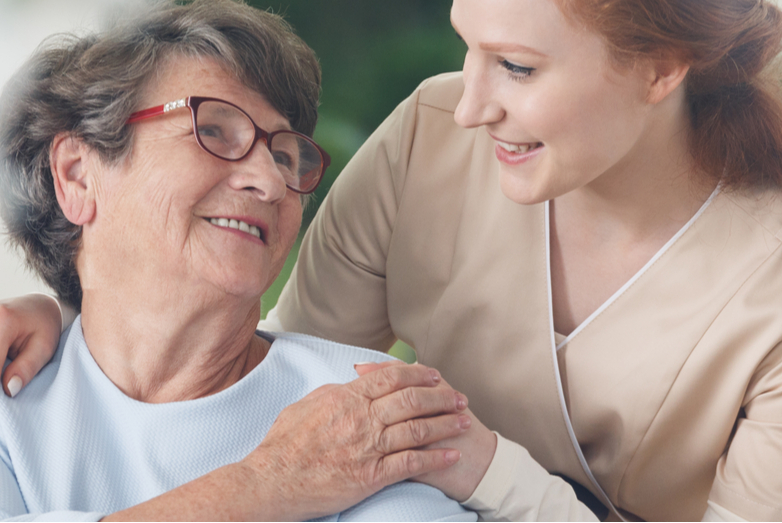 To get a loved one approved for hospice care, there are several eligibility requirements. First, the patient must be diagnosed by a physician with a terminal illness and no more than 6 months left to live judging by the average course of the disease. Medicare covers one doctor visit where the patient is evaluated to see if they qualify for hospice care. During this visit, the patient’s pain and symptoms are documented, and a management plan is created. The patient is given a detailed explanation of hospice care, along with other options. Lastly, the patient is advised on advanced care planning. During this initial meeting, the patient must be determined as having a terminal illness. Furthermore, to be considered eligible for hospice care, the patient must “not have made a hospice election,” and they cannot have any documented pre-election hospice services. Does Location Play a Factor? Local Coverage Determinations (LCDs) for your geographic location are used to help determine eligibility for hospice. They are not used exclusively and are instead used in combination with other factors. There isn’t an exact science at play; instead it largely falls into the expert opinion of a certified physician. Acceptance into hospice “shall be based on the physician’s or medical director’s clinical judgment regarding the normal course of the individual’s illness,” according to the Benefits Improvement and Protection Act of 200 (BIPA). If you are approved for hospice care, you must sign a statement agreeing to accept hospice care over routine Medicare coverage. From there, you will receive care from a Medicare-approved hospice program. Private insurance may still play a role and different insurers have unique policies. In addition, Medicare still pays for ailments that are unrelated to the disease that made you eligible for hospice. Use this link to find a hospice in your area. Can Hospice Care Be Revoked? The majority of hospice patients pass away while under the care of hospice. Although, it is possible for a patient to lose hospice care benefits if their condition no longer meets the criteria for eligibility. Approximately one in six patients are still alive when discharged from hospice care. This could be viewed as a miracle, who doesn’t want to outlive doctor predictions? Yet, for many it can turn into a nightmare when they are no longer getting the help, support, medications, and funding they relied on from hospice care. When is Hospice Responsible for Transportation Costs? If the reason for transporting the patient relates directly to their terminal diagnoses and occurs after they have been approved under hospice care. The transportation must be outlined in the patient’s plan of care created by hospice doctors and nurses. Transportation occurs on the day they are approved for hospice care, or if it occurs before approval. The following statistics were taken from John Hopkins Medicine (hopkinsmedicine.org). In 2011, approximately 1.65 million Americans were granted hospice services. That same year, over 44% of deaths in America occurred under the care of hospice. There are more women in hospice programs than men. Over 80% of patients in hospice are 65 or older, while over 1/3 of patients are 85 or older. Some studies show that hospice care increases patient life expectancy by around 29 days. By admin| 2019-01-12T00:46:37+00:00 January 16th, 2019|Blog|Comments Off on How Do You Become Eligible for Hospice Care?